I think we can all agree that everything we create in the world begins with a thought. Isn't that how God created the universe in the first place? I've always wondered how long God thought about the world before he created it. If he had "only" thought about it would it exist? The fact is that it wouldn't. At some point God seems to have decided to put his thoughts into action. In our world today it also seems that some action is required to make money. After all, every website you see was once just a thought. From my own experience I can say that building a website also takes a great deal of work. This book reveals what it missing from "The Secret." Mainly that action IS required. If you have read "The Secret" then this book will be completely fascinating although Karen Kelly has a much more realistic view of life. She goes as far as to tell the reader to "tear up your affirmations." I think this is not the best advice since affirmations give you the confidence to make your dreams a reality. While this book is even more interesting than "The Secret" it does divulge some controversial information. This is especially true when discussing quantum physics and how it relates to consciousness. What I liked most about this book is how Karen Kelly examines the phenomenon of "The Secret" and also presents her own research about those who were quoted in the book. To say this book was well researched is an understatement. 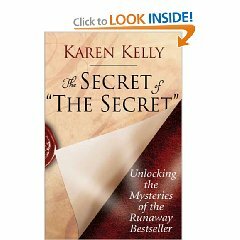 I loved how Karen Kelly traced the ideas in "The Secret" to their roots. It seems in life we can decide to live in poverty, survive fairly well or attain incredible wealth. I'm personally not sure we should want wealth just for selfish reasons. It does however seem fine to want wealth so we can be a good influence or help people in need. I think we have to remember that the "love" of money is the root of evil. From what I have read it is not evil to possess great wealth. If you read about the life of Mother Teresa (who lived in poverty all her life), even she drew great wealth to herself (in the form of donations from all over the world) and helped hundreds of thousands of people. She didn't use the money for herself but instead basically gave it all to the poor. So I think there is a lesson to be learned from her life. One of the hurdles I found with "The Secret" is that I didn't think I deserved to make a lot of money. I also didn't have any good ideas on how to make more money until after I started to read books by Napoleon Hill. While reading his books I received an idea that could make me money. So if you are going to read books like "The Secret" also read books that can actually make your dreams a reality. Perhaps this book will show you what is missing from "The Secret." In the end, the law of attraction seems to work for the person who also takes action. If it sounds too good to be true, it probably is, except "The Secret" can be tested in your own life to see if it is valid and true. As I read this intriguing book I started to notice why I was successful in some areas of my life and not in others. What I've been thinking is truly the reality I've created for myself. For years I've been able to manifest free books and my thoughts about receiving free books was constant until I had over 200 books to review and realized I didn't need as many. The minute I changed my thinking I had less offers and less books appeared. The only thing is, I had to write the first review. As Bob Doyle says in this book: "Action will sometimes be required." This book almost seems to have a missing chapter, the one where the author explains the hard work most people have to do to see their dreams realized. Very few people will probably see their dreams materialize unless they take some initial action. You should not only imagine your future but also take steps in the direction of your dreams. Can you really think your way thin? This book claims you can. I tried putting up pictures on my mirror to inspire weight loss and I did lose 25 lbs but this was mostly because I also "literally took steps" by walking one hour a day. If I had only sat around imagining that I was thinner I doubt it would have worked. It also took me over 30 years to produce a cookbook, it didn't magically appear although I thought about it every day. I still had to do the hard work of testing the recipes and writing the instructions. Some of the authors in this book claim to have great riches and neglect to tell you that they also had to do the hard work of writing their books. I think this book works differently for each person. I have been able to manifest books, an amazing best friend (OK, I also prayed about this one), items that magically appear in the mail (answers to questions I had). So in some way "The Secret" is working in my life on a small scale. I still haven't been able to manifest my ideal house or a car. I won't spoil the book for you by telling you the three main things you have to do to see your dreams appear in reality. They are relatively easy and it only takes a small amount of effort - mostly training your mind to think positively. While for the most part, this book shies away from religion it does go a little far by saying we are all God in human form (A very New Age belief). According to the Bible we are created in God's image. There also is nothing about 9/11 or Katrina in this book. In fact this book claims that negative thoughts are not as powerful as positive thoughts. So if you want to try out extreme positive thinking and you are willing to "be your own experiment" I can recommend this book to you. I've seen some of the principles work in my own life so many of the ideas are true and testable. You may also want to read: Keys to Positive Thinking by Michael J. Ritt. This book also promotes visualization and promotes putting pictures of things you want up on the wall. 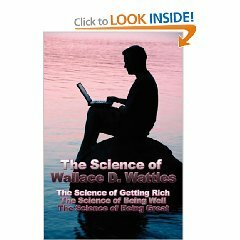 If you want to know the philosophy behind The Secret then you might enjoy reading "The Science of Wallace D. Wattles." He is much more practical and indicates that you should change your thinking but also change your actions. Action is definitely required to achieve health and wealth. If you are interested in becoming a great person then the final chapters of this book indicate a way to achieve such a dream. At first Wallace D. Wattles keeps talking about how you have to "act and think in a certain way" in order to achieve wealth. He spends very little time actually explaining how to act in this way but does explain that you should have a sense of gratitude. Basically his message is "how you think is what you become." This applies to health, wealth and becoming great. What good is money if you are not also healthy? The second section of this book explains how we all have a healing power within ourselves that can be activated by belief. Wallace D. Wattles believed that it was not the medicine that made you well but the faith you had in the remedy that produced the cure. While this book has a lot of good ideas about positive thinking there are a few things I didn't agree with. One was the author's idea about not eating breakfast. Instead he says to wait until you feel hungry. Not eating breakfast goes against current wisdom on the matter. In fact most dieticians say breakfast is the most important meal of the day. The second idea I found almost unbelievable was Wallace D. Wattles idea that there is nothing wrong with the world, that everything is as it should be. I also think it is very naïve to say that there is no evil in the world. While Wallace D. Wattles believed in God, he also seems to have believed in evolution. So basically those are some of the things I disagreed with. I personally don't know how you would even begin to read without thinking but the quote sounds good. I can only recommend this book to anyone who is willing to put the ideas in this book to the test. Many of the ideas seem very New Age for the time in which they were written and if you have read "The Secret" this book will intrigue you. The only real problem with this book is that it needed some editing. If you can overlook that aspect you can still enjoy this book. 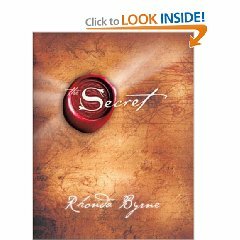 If you have read The Secret then you will know all about the "law of attraction." 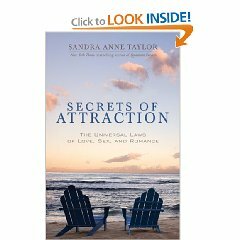 In "Secrets of Attraction" Sandra Anne Taylor takes this idea a few steps further and describes the law of pure desire, the law of harmony and the law of magnetism (that which you focus on expands). She fully explains how your thoughts are creating your destiny and perhaps even stopping you from finding the relationship of your dreams. Sandra Anne Taylor believes that "love is energy." While reading this book I had the idea that happiness is when you feel love's energy radiating from your soul. If happiness is what you are after then this book has a few positive ways that can be achieved. If you think you can only be happy if you are in a relationship then this book explains how you can use proven laws to find a healthy relationship. If you are in a relationship that is abusive and you are trying everything you can to make it work then it might be helpful to realize that you attracted this type of relationship into your life at a time when you and the person you love were vibrating at the same frequency. Perhaps you were both depressed when you met but now you are using affirmations to make your life better and they are still stuck in negative thinking. If you still want to create happiness in your life you have to forgive yourself for the past and embrace the future with an even more positive attitude. To create the life of your dreams, Sandra Anne Taylor shows you how to eradicate disempowering thoughts. Her affirmations are excellent, however she encourages you to make up at least 50 of your own. You then saturate your consciousness with these new positive thoughts to reap amazing results. For the most part I found this book to be very motivating and felt healed by the reading experience. This book is beautifully written from the heart. I think this book will be most helpful to anyone seeking a new relationship but there is a chance that the ideas in this book could bring renewal to old relationships. I have to say that the results I achieved from reading Develop Irresistible Attraction were immediate and stunning. I had hardly made it to page 39, when a check arrived from an unlikely source. I am sure God has a sense of humor and enjoys delighting us with surprises, but this was almost too coincidental. Connie Domino's workshops are so popular, participants asked her to write a book. Numerous success stories show how this system has worked for people who have released roadblocks and embraced possibility. Connie Domino's curiosity led her to discover a formula for success. There are only five steps and through a short process of evaluation you remove psychological roadblocks. She shows how the mind is a powerful instrument and how love is the energy and belief the vehicle for manifestation. How to rework a motivational sentence to produce positive results. Why my biggest fault may be my greatest asset. How I can break free from destructive patterns. Why limiting beliefs must be eradicated to achieve success. How to write my life into existence and develop a plan for unlimited potential. 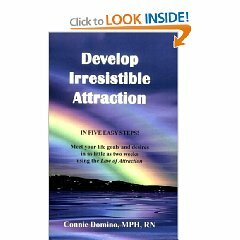 Develop Irresistible Attraction is a book you will start to live. By reading this book you will enter a world of possibility and realize the sheer power of your own mind. Imagine visualizing your dream life and then finding yourself living your dream. With the information in this book, you can start to manifest new relationships, a new career or even positive changes in your health. John Assaraf and Murray Smith have either been especially lucky or visualization, vision boards, goal setting, meditation and hard work have really paid off. Both authors now run a coaching company and this book is the result of hundreds of interviews with successful people. While Murray Smith presents some intriguing case studies, John Assaraf takes complex ideas and makes them instantly understandable. Both authors explain their points with a sense of clarity which makes this book a pleasure to read. You will fully understand "the law of attraction" and how it applies to real life. I like that in this book you are not only told to use your imagination, the authors also emphasis "the law of action." This is sometimes missing from other books and is essential to your success. "The Answer" is probably most helpful to those with a business idea or those who are already in business but want to expand their operations. 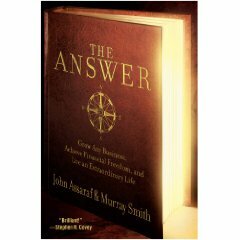 Throughout the book there are questions to answer and having a journal handy while reading this book is a good option. If you have a passion for what you are currently doing then this book can help you manifest a more pleasing reality.